Discovery has launched a new website called Discovery Parent Corner. 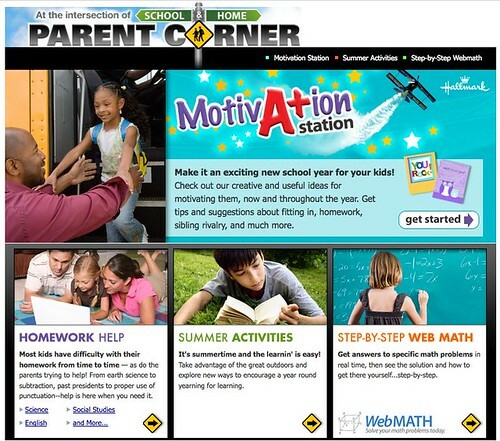 The website is designed to “Parent Corner provides parents and others a powerful suite of free digital resources that can help bridge the gap between home and school, and ensures that parents and other caregivers have the digital tools they need to help students continue to learn once they leave the classroom.” (Dale Fulton, Senior Vice President of Curriculum Development, Discovery Education). Motivation Station – Offering tips and suggestions about fitting in at school, managing homework, dealing with sibling rivalry, and more. Homework Help – Providing thousands of online videos, simulations, texts, and links – are useful study aids that engage students of all ages in learning. Head over there and check it out. Once you see the powerful tools available for parents with children of all ages I feel certain you will want to add it your class website, blog, or wiki.